The diagram shown in fig. 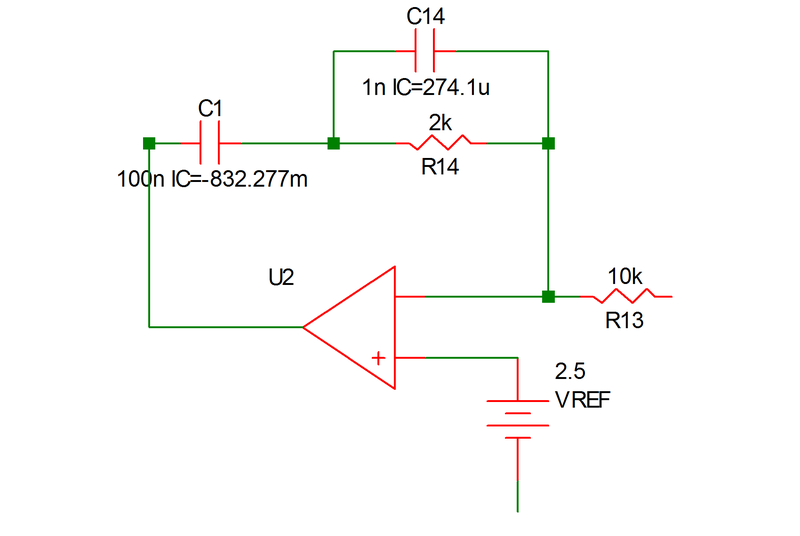 9.13 is the schematic of a regulated current step-up (buck) converter operating under a fixed-frequency control law. The modeling of the switching transistor, the diode, the energy-storage inductor, the output-filter capacitor, and the load of the power stage is similar to the modeling of the corresponding components in Example 4 and is not elaborated on here. Again, with the transistor modeled as a simple controlled switch, the base-drive shown in 9.13 does not need to be modeled in the input file as the output of the comparator can directly control the simple transistor switch. The error amplifier in the controller is shown separately in 9.14 (a) and its piecewise-linear equivalent is shown in 9.14 (b). 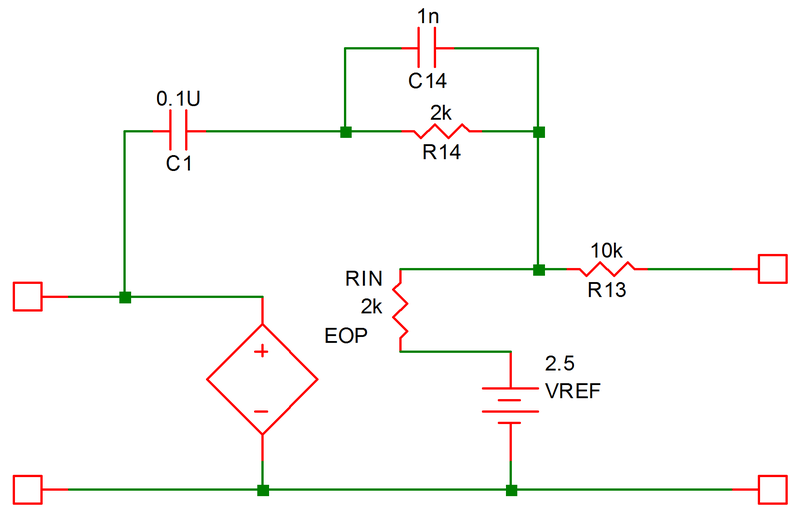 The operational amplifier is modeled with an input resistance RIN between its differential inputs and the voltage- controlled voltage source EOP at its output. 9.14 illustrates how an opamp circuit can be modeled by a simple network if the opamp is not driven into saturation. 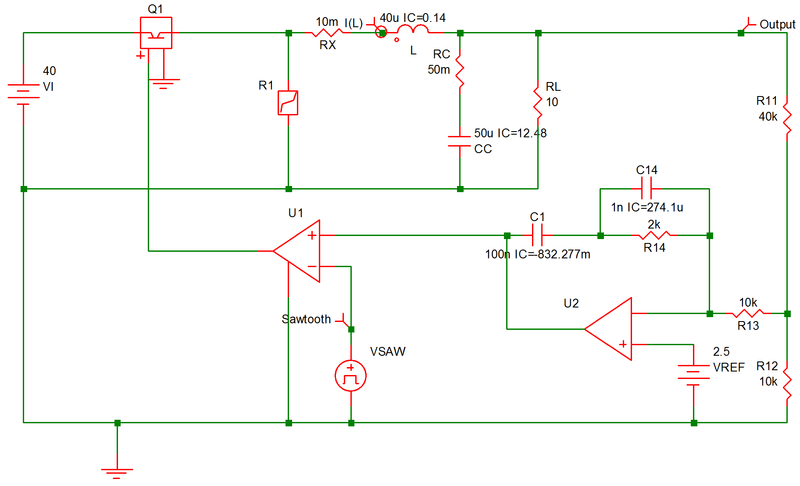 More sophisticated models for the operational amplifier can be built upon this basic model. The input file describing this converter is shown in 9.15. 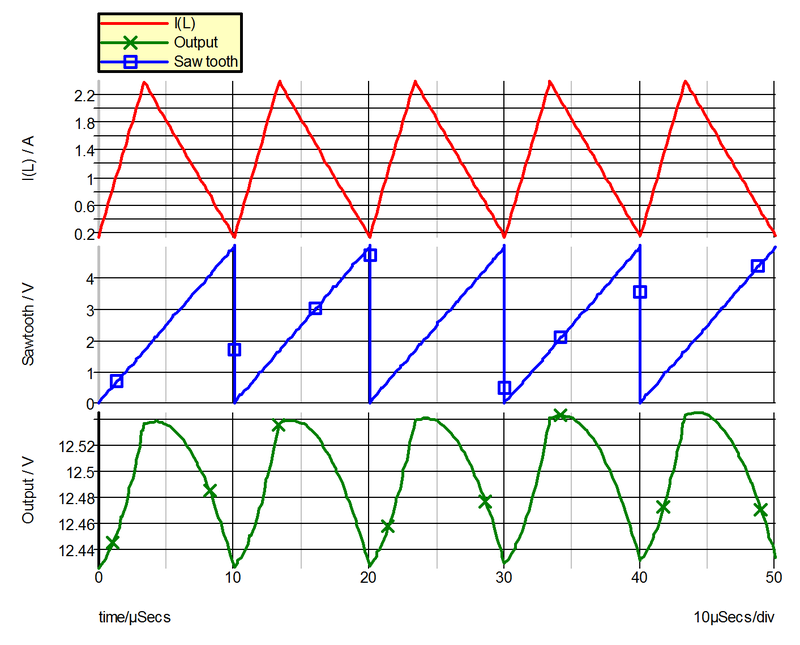 In this example, we are interested in the steady-state waveforms of the sawtooth voltage V(11), the voltage V(RL) across the load and the current I(L) through the inductor.